Brisbane Airport is a major hub for both Virgin Australia and Qantas, and a secondary hub for Qantas’ low cost subsidiary Jetstar. Tigerair Australia also opened a base at Brisbane Airport on 11 March 2014. Brisbane has the third highest number of domestic connections in Australia following Sydney and Melbourne. 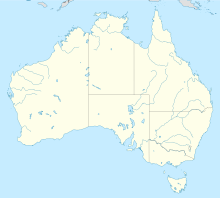 It is also home to Qantas' A330 and B737 heavy maintenance facilities. Virgin Australia has a smaller maintenance facility at the Airport, where line-maintenance on the Airline's 737 fleet is performed. Other airlines, namely QantasLink, and Alliance Airlines also conduct maintenance at their respective facilities at the Airport. The airport has international and domestic passenger terminals, a cargo terminal, a general aviation terminal and apron as well as two runways. JETGO Australia also operated from Brisbane Airport until its demise in 2018. The Qantas concourse has 9 bays served by aerobridges including one served by a dual bridge. It has three lounges – the Qantas Club, Business Class and chairman's Lounge. Virgin Australia occupies what was the former Ansett Australia end of the terminal. Its concourse has 11 parking bays, nine of which are served by aerobridges including two served by a dual bridge. It has one lounge – the Virgin Australia Lounge which is located in the former Golden Wing Club opposite Gate 41. Brisbane Airport has won a number of awards; including being rated as Australia's No. 1 airport for quality of service 10 years in a row (2005–2014 inclusive) in a survey by the Australian Competition and Consumer Commission, and being ranked as 3rd Best Airport in the world (for airports servicing between 20–30 million passengers per year). In 2015, it was reported as the fourth-best medium-sized airport for on-time arrivals and departures. The international terminal won the Queensland architecture award. In 2005 Brisbane Airport was awarded the IATA Eagle Award, the second of only two Australian airports to receive such an award. 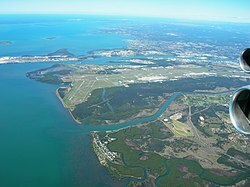 ^ a b "Brisbane International airport – Economic and social impacts". Ecquants. Archived from the original on 20 April 2014. Retrieved 7 September 2013. ^ "Movements at Australian Airports – Cal YTD" (PDF). Airserviesaustralia.com. Archived (PDF) from the original on 30 May 2012. Retrieved 7 October 2012. ^ About Qantas – Media Room – Media Releases[dead link]. Qantas.com.au (1 April 2004). Retrieved on 20 November 2010. ^ About Qantas – Media Room – Media Releases – Qantas Secures 500 Engineering Jobs in Queensland. Qantas.com.au (11 May 2009). Retrieved on 20 November 2010. ^ a b "Brisbane Airport – A history of Brisbane Airport". www.bne.com.au. Archived from the original on 19 July 2008. Retrieved 15 September 2008. 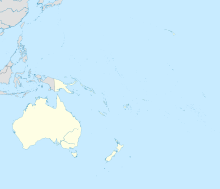 ^ "Air New Zealand to provide services from Brisbane and Sydney to Norfolk Island – Australia Site". Airnewzealand.com.au. 22 December 2011. Archived from the original on 21 March 2012. Retrieved 10 February 2012. ^ "FlyCorporate adds Brisbane – Tamworth service from Nov 2016". routesonline. Archived from the original on 28 September 2016. Retrieved 26 September 2016. ^ 2017, UBM (UK) Ltd. "QANTAS adds seasonal Brisbane – Broome service from June 2017". Archived from the original on 5 September 2017. Retrieved 13 June 2017. ^ Brisbane airport terminal wins Qld architecture award – ABC News (Australian Broadcasting Corporation). Abc.net.au (31 July 2009). Retrieved on 20 November 2010.